Can Dating Hurt My Divorce Case? 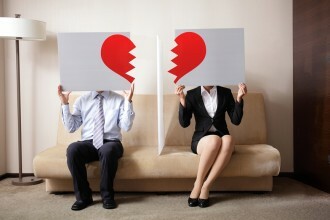 > Family Law > Divorce > Can Dating Hurt My Divorce Case? The short answer is that it depends on your case and situation. We’ll tease out the details below so you can make the best decision for yourself. An experienced Littleton divorce attorney discusses how dating during divorce can complicate a divorce case. Contact us for superior CO divorce representation. Precluding the possibility of compromise – Dating during divorce can incite the jealousy and bitterness of an ex, even one who may have been fine with the divorce prior to your new relationship. This, in turn, make an ex unwilling to compromise on important issues of the divorce case, possibly even spurring him or her to start fights or issues over matters that were not issues previously. Affecting custody decisions – When children and custody issues are central to a divorce case, dating during divorce can, again, be problematic, as a new partner can be subjected to a lot of scrutiny by an ex’s lawyer (especially if you are serious with this new partner and/or are living with him or her). In some cases, dating during divorce may end up impacting final custody decisions, such as if or when a new partner has a criminal history or other potential issues that would steer the court to make a custody decision in favor of your ex. Increasing your divorce costs – Another potential consequence of dating during divorce can be that it ends up drawing out your divorce case (because an ex will fight you on everything) and, in turn, drive up the costs of your divorce significantly. In fact, the longer your divorce drags out, the more expensive it will likely be – and longer you have to wait to get on with your life and future. When it comes to dating during divorce, the bottom line is that, if you can wait, it’s usually advisable that you do, as divorce can be unpredictable, and you don’t want to do anything that could complicate your case, increase your stress and drive up your divorce costs. When you are ready to proceed with a divorce, you can turn to an experienced Littleton divorce attorney at Bahr, Kreidle & Flicker for the best representation. Since 1983, our attorneys have been dedicated to defending our clients’ the rights and interests and helping them favorably resolve their important family legal issues. Our lawyers know how serious and devastating the impacts of divorce can be. That’s why we are committed to aggressively advocating our clients’ rights and helping them bring their divorce cases to the best possible resolutions.